​serve the community of Old Swan and surrounding areas. Based in the heart of the ward of Old Swan, Liverpool since 2013, The Joseph Lappin Centre is managed by the Joseph Lappin Partnership Ltd . We proudly serve the community of Old Swan and surrounding areas by aiming to improve people’s quality of life by contributing to their social, physical and educational well-being. We are a not-for-profit organisation who play a role in ensuring a holistic setting is provided to children, young people and adults alike. The Joseph Lappin Centre boasts a Multi-Use Games Arena complete with 3G Astro Turf, Community Café, SportsHall/Function Room, fully equipped Gym, Training room/IT Suite, dedicated Youth Facilities, Offices for long term lease and much more. 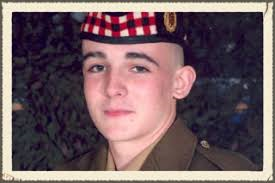 Joseph Lappin grew up in Old Swan, attended Cardinal Heenan High School and was a 16 year old army cadet when he was killed in 2008, outside the Shrewsbury Youth Club in Everton. Joseph was the innocent victim of knife crime and The Joseph Lappin Centre , established in his memory, opened in 2013. Joseph knew what he wanted to do with his life and was sadly denied the opportunity to achieve his goals. We continually raise awareness of the effects knife and gang culture has on victims, perpetrators, their families, friends and communities.